Dominick Newton, known under his stage name The Jacka, was a rapper born on 12th August 1977, in Pittsburg, California USA. The Jacka began his rapping career with the group “Mob Figaz”, whose first album was released in 1999. He also toured with numerous artists including Mac Dre, C-Bo and Keak da Sneak. He also owned his own label called “The Artist Records”. Have you ever wondered how rich The Jacka was? According to sources it has been estimated that The Jacka’s overall net worth was $150,000. The Jacka accumulated his net worth by performing as an independent emcee as well as by following other famous artists on their performances. He recorded 14 solo albums and four mixtapes which added to his overall net worth. The Jacka was born to teenage parents and grew up on the west coast. Due to a broken home, he began hustling on the streets at an early age, which later significantly influenced his lyrics and music style. His talent for writing about the West Coast thug life and a unique voice made him a recognized artist. Unlike many rappers, The Jacka did not glamorize the criminal lifestyle, which set him apart from others of the genre. The Jacka stated that one of his biggest musical role models had been Marvin Gaye, as he was unafraid to explore inner darkness and put it together with the music. The Pittsburg group Mob Figaz helped start Jacka’s career – their first album “C-Bo’s Mob Figaz” was released in 1999, and entered the Billboard Hip Hop chart in 63 position, and sold over 160,000 units., a god start to Jacka’s net worth. Jacka’s first solo album came out in 2001 and he sold over 30 000 units by himself, but although big support came from the Bay Area, the majority of his sales were outside California. His second album, “The Jack Artist” was released four years later, but failed to reach the charts. 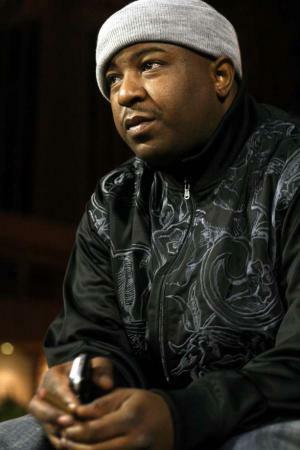 In the following years, Jacka continued to dedicate himself to music, collaborating with DJs such as DJ Juice, DJ KTone and The Demolition Men. Soon after he was nominated for the 2nd annual Bay Area Rap Scene Awards for Best Underground Artist as well as Group of the Year, for his partnership with the “Mob Figaz”. In 2006, he was awarded the “Best Underground Artist” and two years later won the Ozone Award for “Patiently Waiting: California”. His third notable album, “Tear Gas” made it to position 93 on the Billboard chart in 2009. His net worth was growing. His last album, “What happened to the world”, was released in 2014. The Jacka joined the Nation of Islam at a young age, stating it was the only way for him to talk to god directly. Later, while serving time in prison for robbery, he became a Sunni Muslim and took the name Shaheed Akbar. On 2 February 2015, The Jacka was fatally shot by a so far unidentified gunman, and died at the age of 37 in Oakland, California.